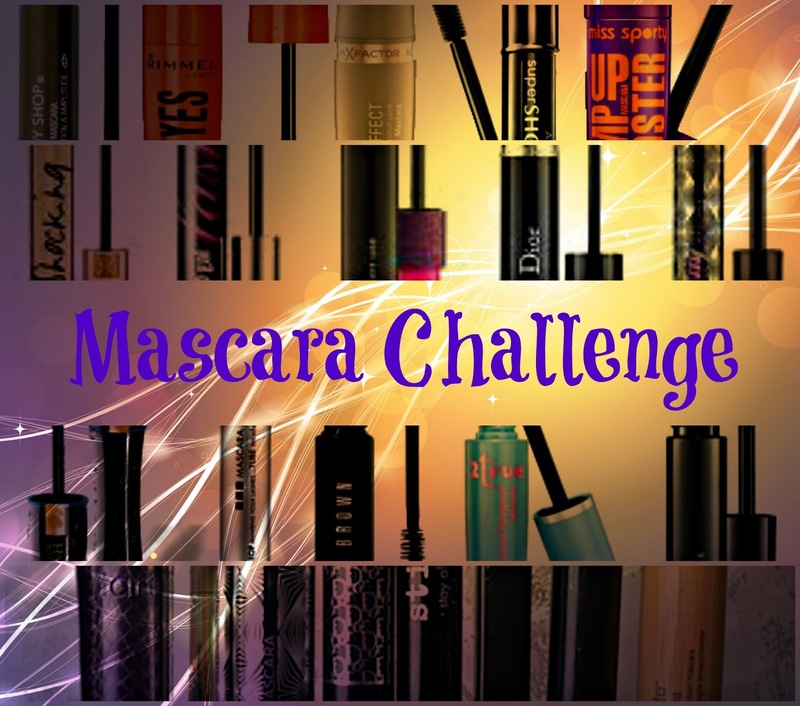 My Great Mascara Challenge! 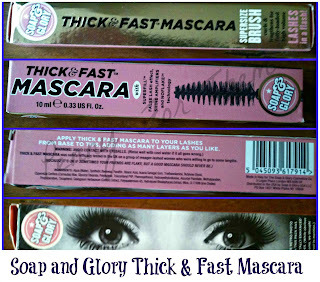 Info and No #1 "Soap and Glory Thick and Fast"
As well as polishes, i have a thing for mascara. I've made it a kind of task to review quite a few of them to compare their hardiness, cost, how full they make the lashes look and waterproof. My problem i have is the wrong mascara can smudge so easily, leaving me looking like a panda. I tried a Chanel trial size and that even left the marks, so the cost is not necessarily the way to mark a good product. 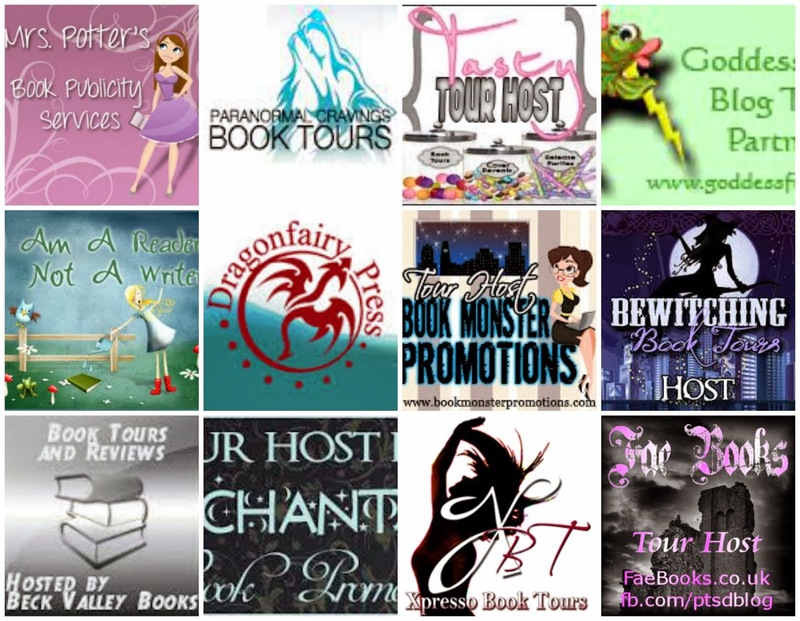 So this challenge will spread over a few posts, and ill add them all to the bottom of this post if you fancy peeking at any as a standalone review! Prices, brands, coverage - it all varies and I'm going to see how the cheaper compares to the more expensive! 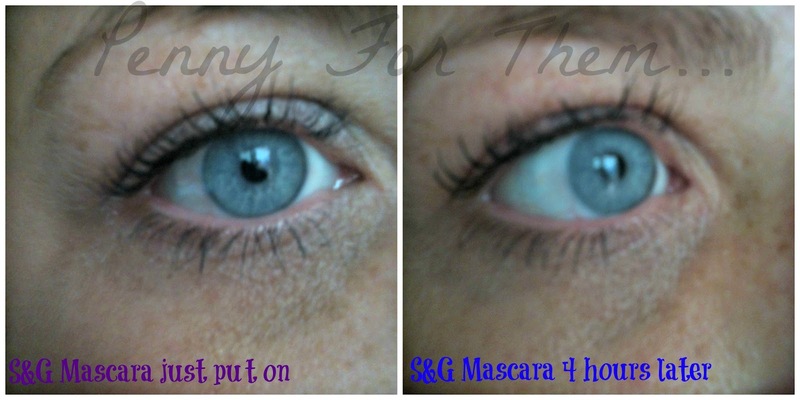 There will be a picture of this in each post so the mascara can be compared. I do have some lashes but they need to be lengthened and made to stand out more. The brush and mascara itself was great. The brush was bushy and had individual rows of bristles and had no clogging or stringy bits of mascara when removing it from the tube. It stayed on well during the day, a little tiny smudging under the eye but nothing major. I couldnt really test the waterproof-ness of it but i do think this would be ok if caught in the rain. Not sure about a dip in the pool, but everyday dampness i think is ok. If i find it any different on another day i will amend this. When coming to take it off at night, i used a Waitrose Face Wipe and it all did come off, but it took a few go's! I like this one, i wish it hadn't had smudged but that's the whole point of trying, right! 7) needed a bit of scrubbing and used quite a lot of a single face wipe. 8) id give it a 8/10. Price is a bit on the steep end, it did smudge which i didn't want it to do, but it did stay on well for the 4 hours. I wish you luck that you find a good mascara! :D The first one seems good. 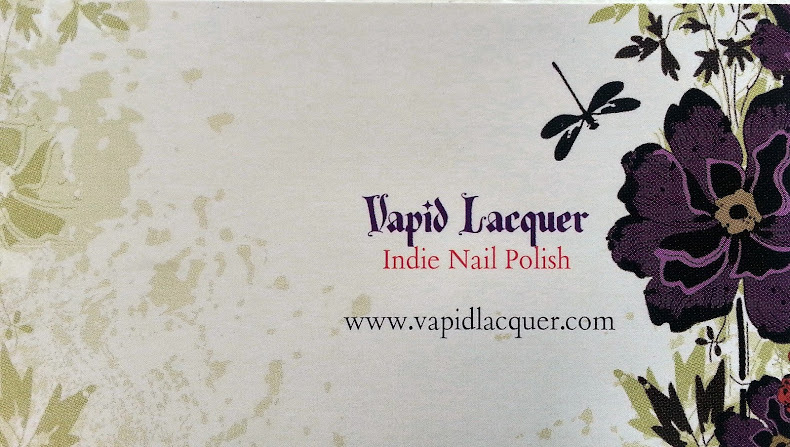 Thanks for the detailed review; I love hearing about new products. 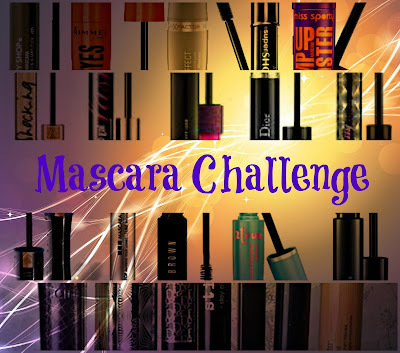 I really love Clinique mascara; that may be one you want to try out in the Mascara Challenge! I love trying out diff mascaras too. My all time fave would have to be Maybelline's Cat Eye mascara BUT I'm set to try Eye of horus soon so I'm excited for that! Good luck with the challenge. So far so good with the first one! I love trying out mascaras! I'm always on the lookout for good ones. My favorites so far include Maybelline's Cat Eyes mascara and Long Extreme Stilleto mascara (both waterproof), plus The Face Shop's curling mascara (non-waterproof but lasts all day). i always keep having to search! my first one in ages that stayed on perfect was Bobbi Browns, but im hoping to find another!! hey im doing the mascara challenge now too..so far liking lancome hypnose! ooooh good to see someone else doing it!! 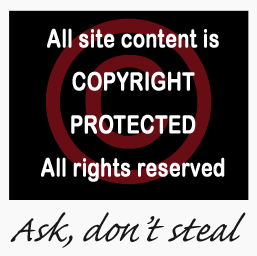 leave your link if you pop back so i can have a nosey! That one is in my pile - i have to admit im expecting good things from that one, but is it cos its Lancome!!? I dunno!! Finding the right mascara is so hard. Good to see that this one lasted for so long! I'm also on the hunt for a great mascara, I always find that mine end up under my eye by the end of the day. Hope you find a great masacra!